The freight and logistics industry is plagued by several inefficiencies. Some of the most critical factors that slow down supply chains are attributed to delays. Among these delays are significant issues with tariffs. International trade and regulation represent a profound challenge for companies wishing to remain competitive. Compounding these issues is the fact that the logistics industry is undergoing a major transformation. Its current practices are outdated and inadequate. New solutions are coming from the development of blockchain-based digital ledgers and the ongoing innovations in the field of artificial intelligence (AI). The 1Shift Logistics product works on desktops and on trucker mobile phone eliminating the need for drivers to get involved in long discussions regarding route, delays and payments. It also automates with manual features. It shows capacity by lane to quickly understand the market by reviewing historical pricing information, partner ratings, and current factors such as fuel prices, weather, and backhaul capacity to make informed pricing decisions in real time. One of the most highly touted aspects of digital ledger technology is the removal of intermediaries. Middlemen who do not contribute to the supply chain add both a level of financial inefficiency and time delays. Since they offer nothing, other parties must operate at a lower compensation than the market would otherwise call for. With less return on their work, these contributing parties encounter a more difficult time in keeping pace with innovation. Additionally, intermediaries also slow down the supply chain. They represent an action that is unnecessarily being completed. Slowed supply chains mean less production, distribution, and revenue over a given time period. Publicly distributed digital ledgers remove many of the inefficiencies associated with intermediaries. It is an innovation that has demonstrated improved security and is more adaptable for data management than current logistical practices. Such ledgers can even serve to streamline tariff and other protocols that delay supply chains. AI’s impact upon the world may be greater than any technology that has ever existed. Machine learning in particular, has ‘deep’ learning capabilities that produce adaptable solutions. Much of this adaptability occurs without the need for additional human input. 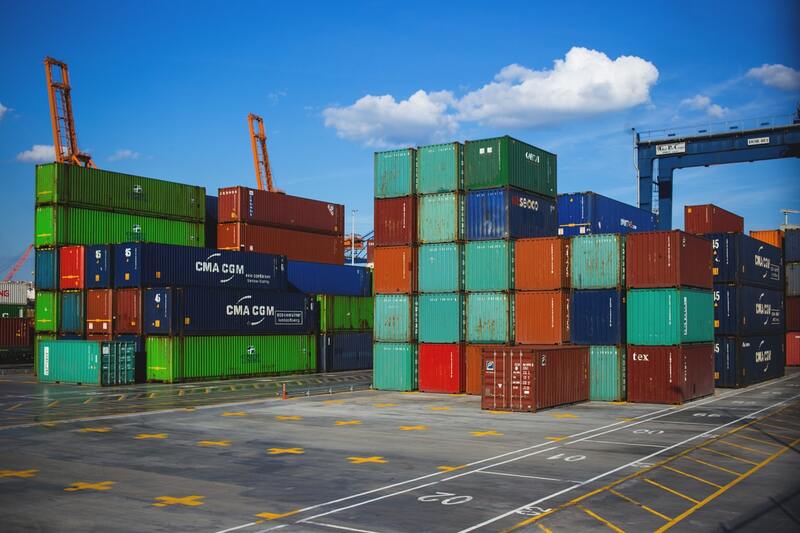 AI solutions can help streamline supply chains by keeping pace with, mitigating, and making more efficient the needed logistical actions to satisfy tariff and other delays. There are other benefits to the supply chain that AI can offer. As the technology continues to innovate, it is better capable of automating and adapting operations that benefit from improved data management solutions. For the logistics industry, finding the right solutions is not a question of which is a better investment, digital ledgers or AI. The best solutions come from finding the right pairing of these technologies for the freight and logistics industry. AI’s ability to analyze and incorporate data for planning tools is revolutionary. It frees up managers to focus on finding deeper competitive insights. Combining AI with a digital ledger adds a layer of security and data manipulation that is otherwise not available. “With the spike in blockchain and A.I. technologies, a myriad of new fragmented logistics software platforms has entered the market, offering more choice but at the same time confusing the markets. In 2019, a few selected that offer the most value will thrive while others will fizzle out as more of a novelty,” said Karim. Previous PostAre your company mobile phones a data breach waiting to happen?